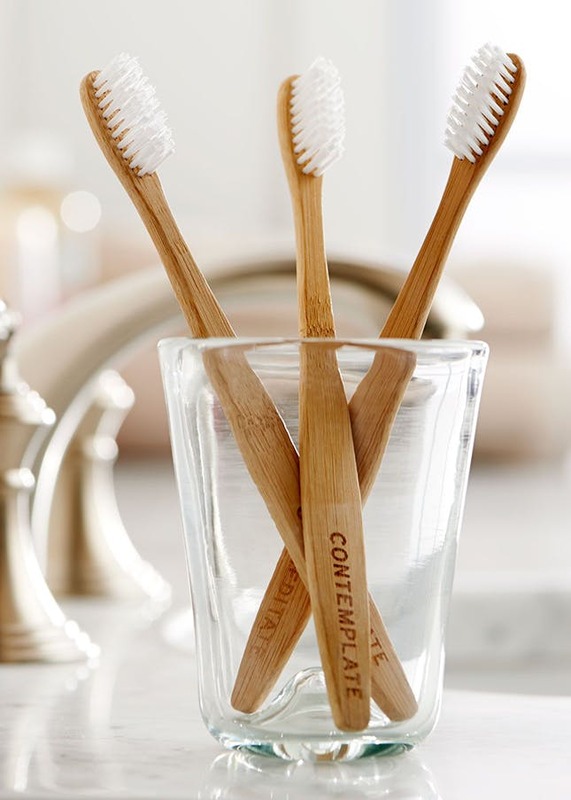 While you naturally think of a toothbrush as just something you use to clean your teeth, you can actually use a toothbrush for many other everyday things that could save you in a pinch. 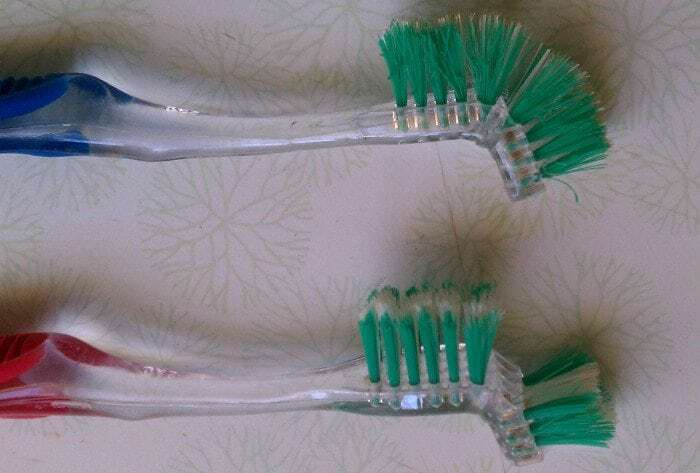 Check out these extreme toothbrush tasks to get the most uses out of your toothbrush. 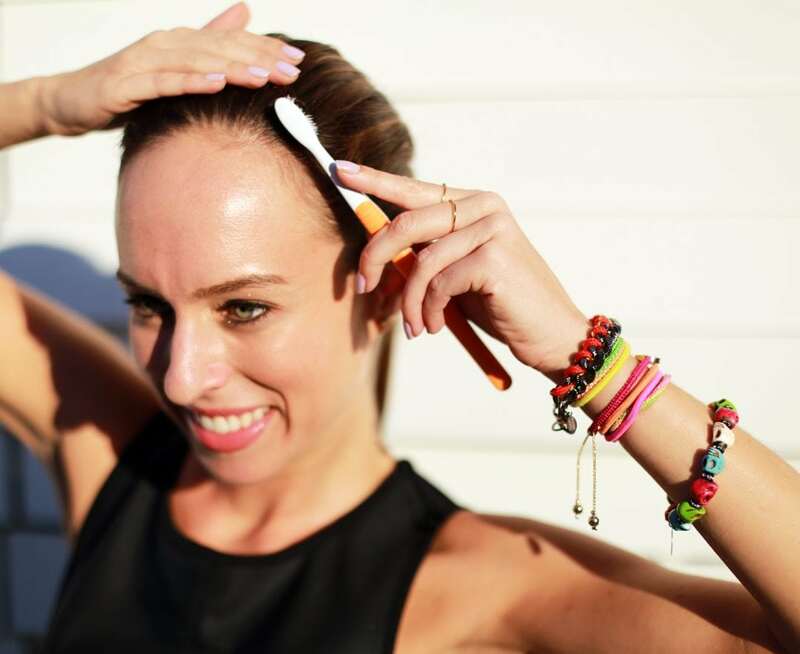 Your toothbrush can serve as a funky hair accessory. Instead of using chopsticks, you can pull your hair into a bun and push a toothbrush through it to keep your bun in place. If you have bushy or unkempt eyebrows, use a toothbrush to brush them in place. 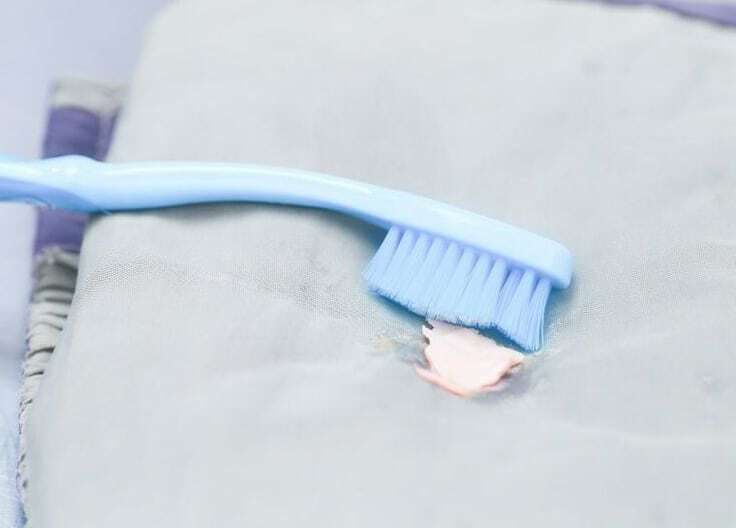 A toothbrush also comes in handy when trying to remove bubblegum from an article of clothing, representing a perfect brush for scrubbing the gum away. You can also use a toothbrush to clean your hairbrush. 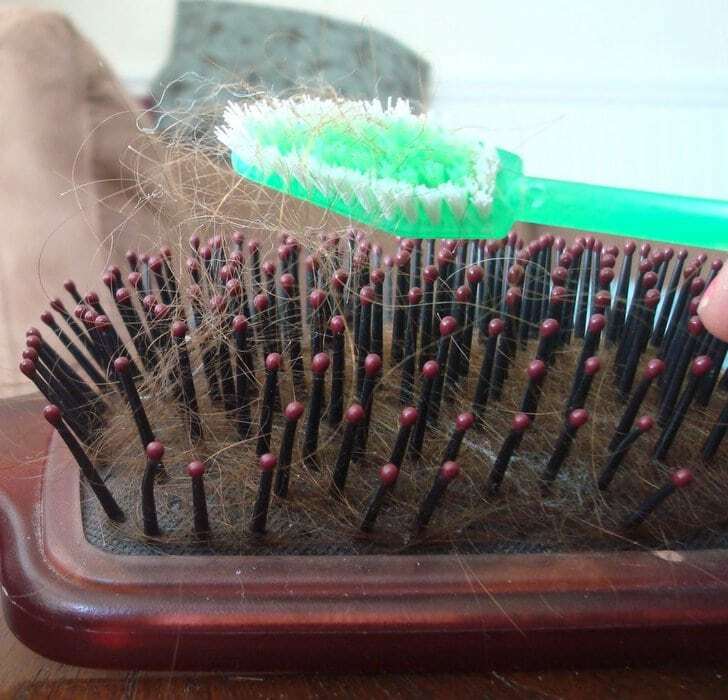 Simply use the toothbrush to get a hold of the stray hairs on your brush and lift it out of the hairbrush bristles. Light a lighter on your toothbrush about an inch and a half below the bristles. Once it becomes soft, bend it at a 90-degree angle. Use it to scrub underneath the toilet bowl rim. 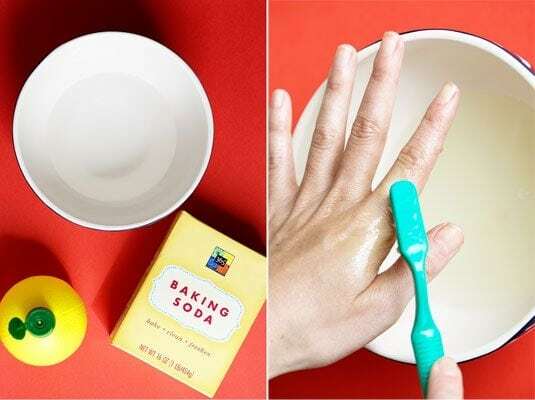 Use a toothbrush with a mixture of water, lemon juice, and baking soda to exfoliate your skin and remove dark spots. 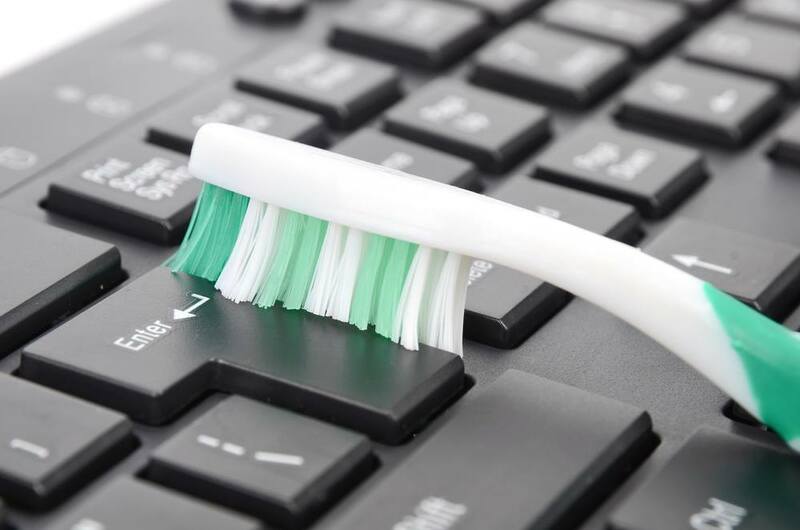 A toothbrush allows you to easily clean the surface of a computer keyboard, helping to scrub loose any stuck-on gunk. Pat on a paste made from baking soda and water over your splinter with a toothbrush. Let it sit for a few minutes, and then stroke the bristles in the direction that you want the splinters to come out. 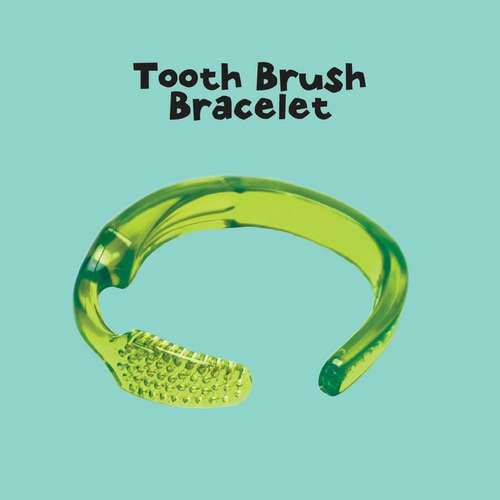 Heat the toothbrush up with a lighter and form it into a cool-looking bracelet. Make sure to allow it to cool sufficiently before putting it on. 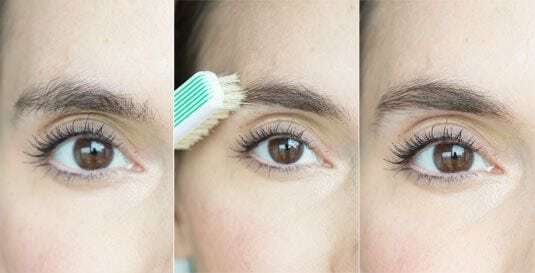 If you find yourself with clumpy mascara in your eyelashes, simply use a toothbrush to brush the extra mascara away. 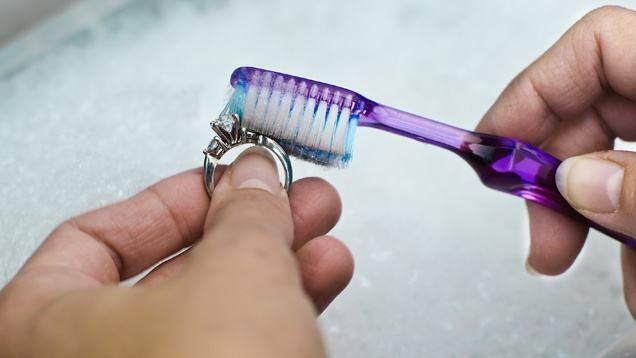 Use a toothbrush to get into the small nooks and crannies on a favorite piece of jewelry. Exfoliate dead skin from your lips with a toothbrush. Make sure to also apply a lip balm over your lips first to smooth them out. 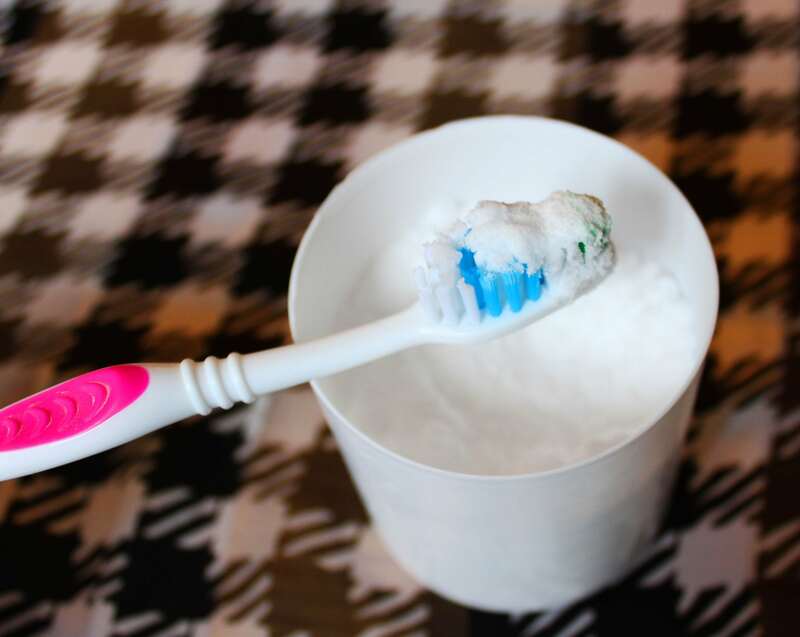 Place a frayed toothbrush in hot water for 15 minutes to restore the bristles. 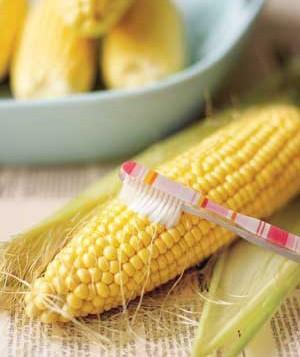 Easily clean the tiny corn silk fibers found on corn-on-the-cob fresh from the garden before cooking. 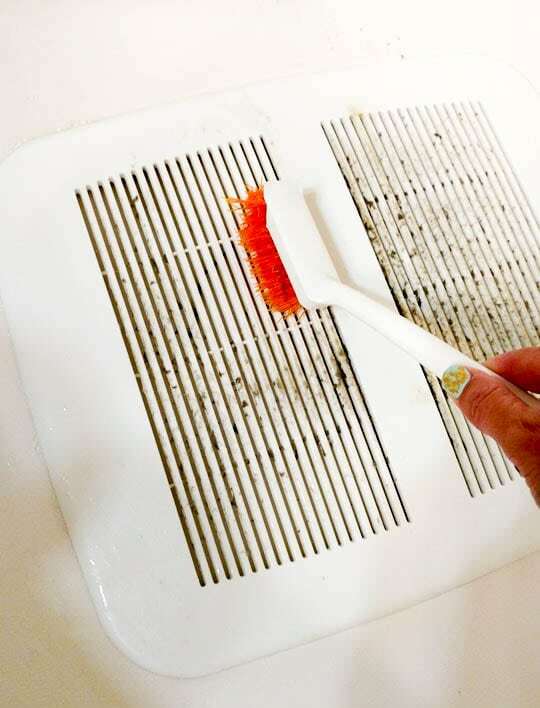 Use a toothbrush to clean the dusty vents in the bathroom and other areas of your home. 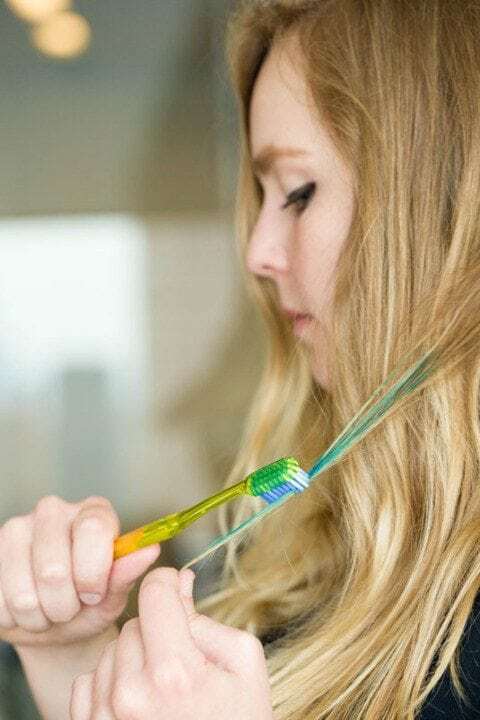 A toothbrush works perfectly to evenly and precisely spread hair dye throughout your hair. It works especially well for highlights and streaks. 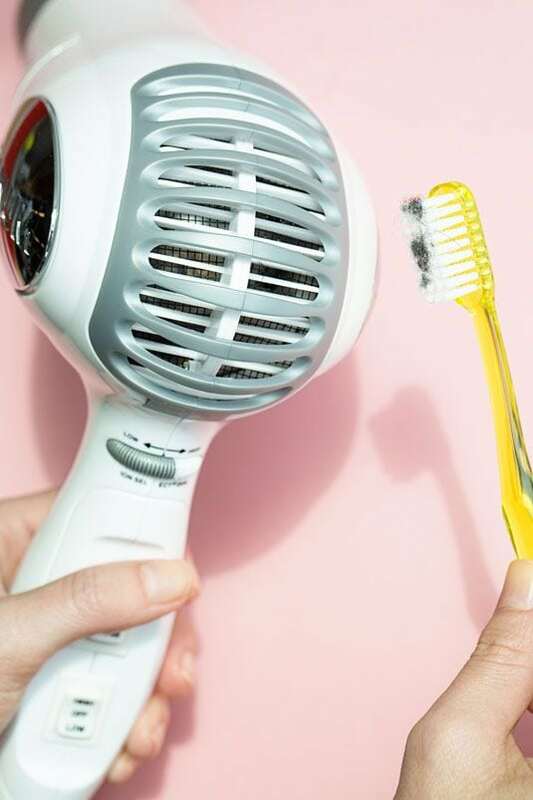 The small size of a toothbrush allows you to quickly and easily clean the vent at the back of your hair dryer. Use a toothbrush with a mixture of baking soda and white vinegar to clean a dirty stovetop. Get into all of the nooks and crannies when cleaning your refrigerator using a toothbrush and a little elbow grease. 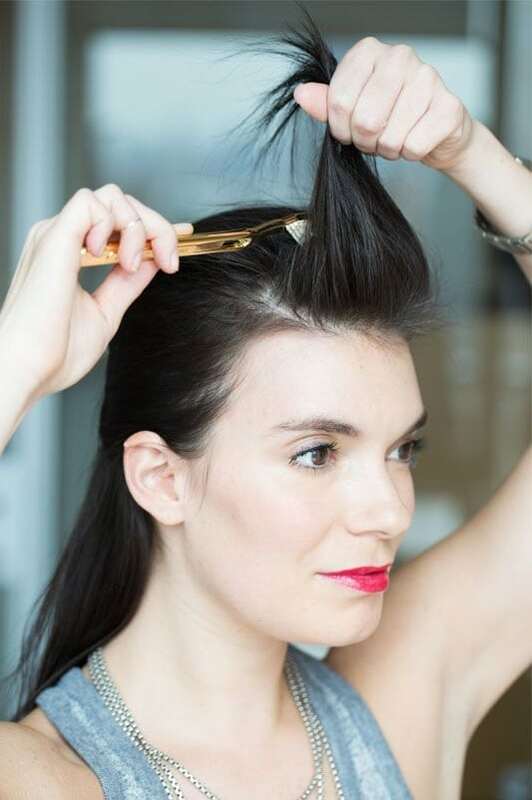 Spray a toothbrush with hairspray and use it to secure flyaways and smooth over your hair. Tease your hair how you want it using a toothbrush. Clean away grime and hard water stains from your faucets using a toothbrush and some white vinegar. 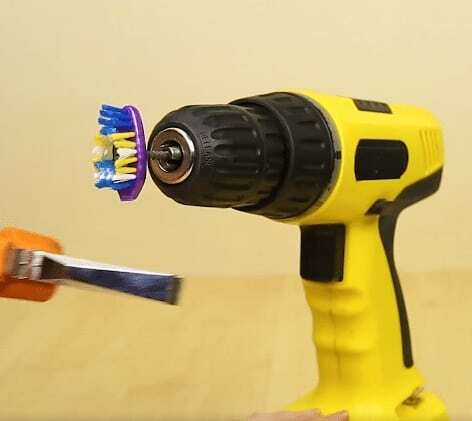 Drill a screw through the back of a toothbrush head. 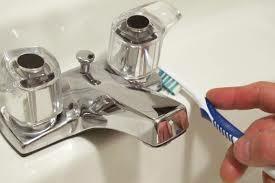 Place the screw into your drill gun and clip off the handle of your toothbrush so that only the brush head remains. Dip the brush in soapy water and/or cleaning solution, and use the brush on the drill to scrub your tile grout clean. 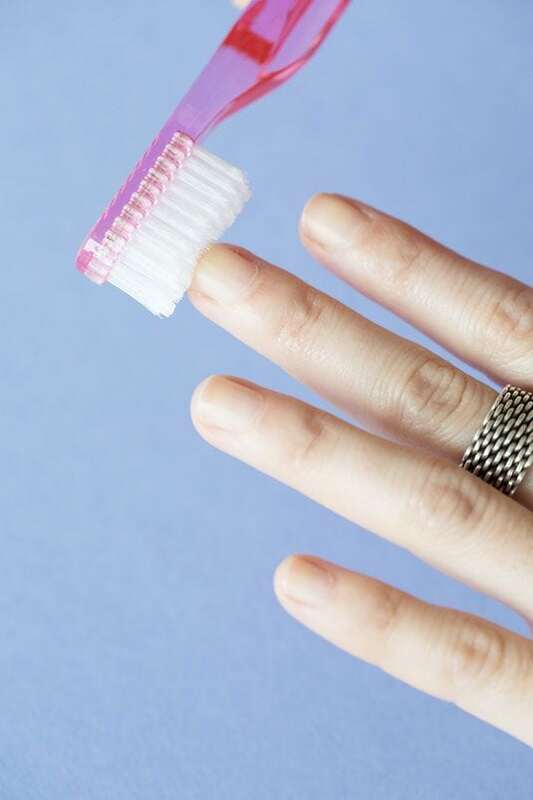 Use a toothbrush to get more easily get under the edges of your fingernails when cleaning them. 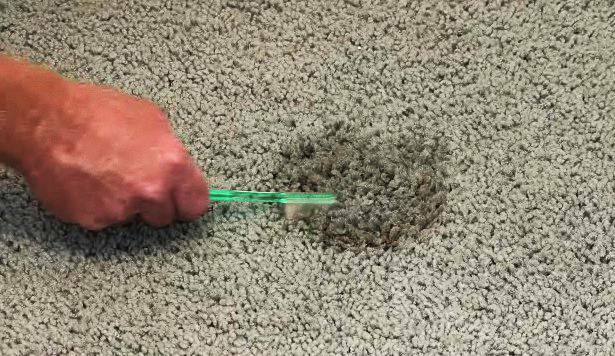 If you have a stubborn stain in your carpet, use a toothbrush to help loosen the stain for easier removal. 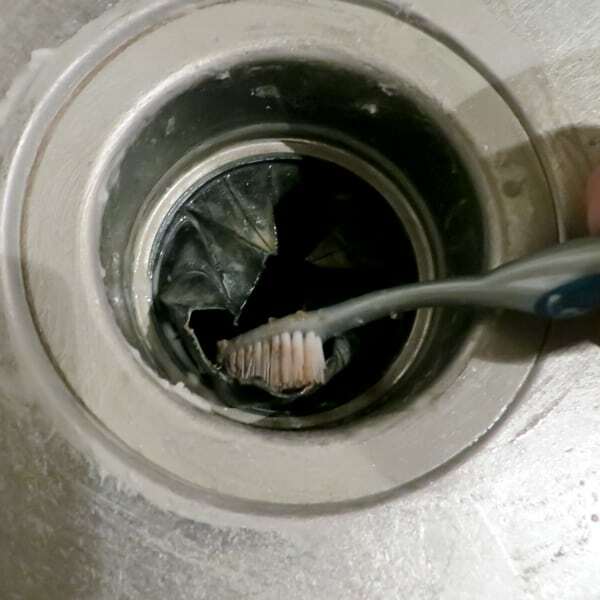 Clean the drain area and edges of your kitchen and bathroom sinks using a toothbrush. Take two toothbrushes and place them together with their bristles touching and tape them together by their handles. Place your bike chain in between the two brushes and spin the pedals so that the chains run through the brushes. 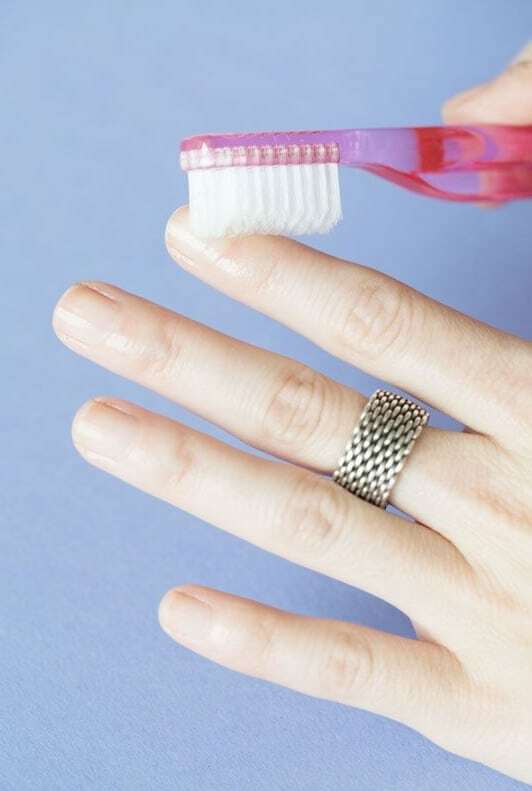 In addition to working great when cleaning underneath your fingernails, a toothbrush also works perfectly when cleaning your cuticles. 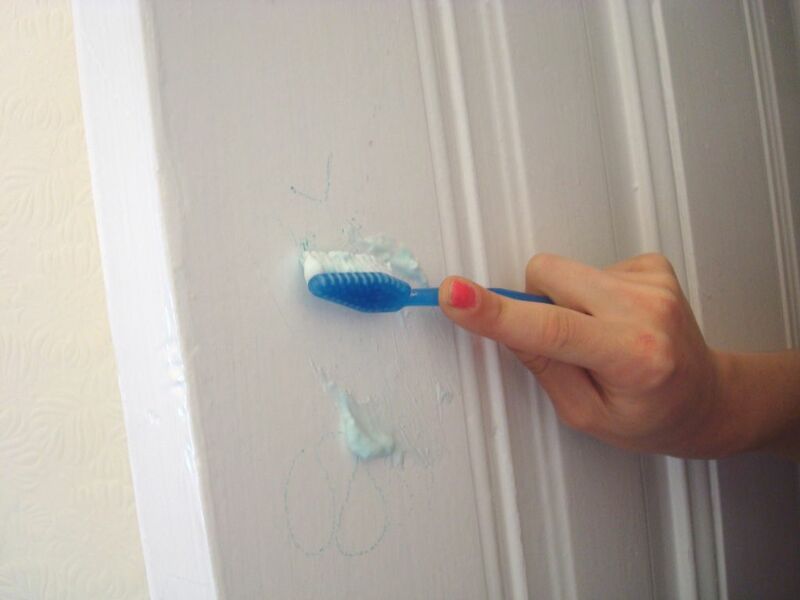 Remove crayons and other materials from your home’s walls using a toothbrush and a little cleaner. 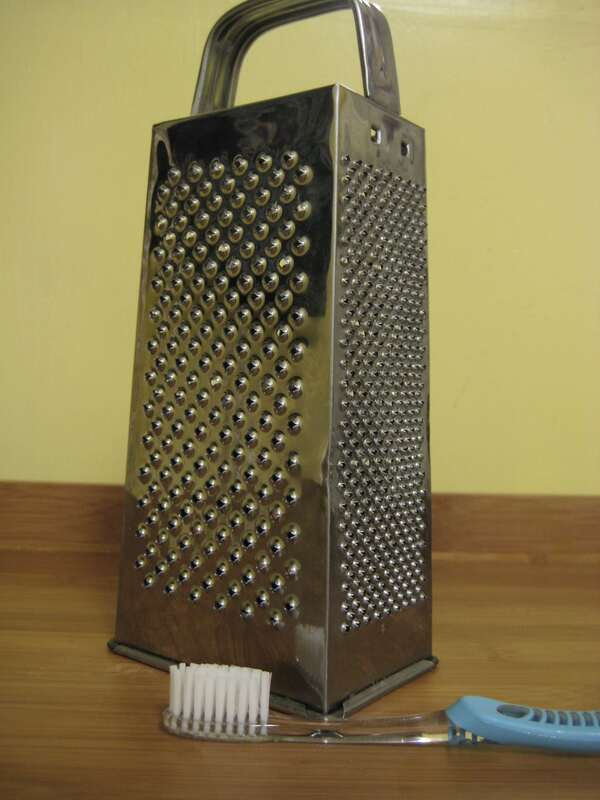 Make cleaning your cheese grater a snap by taking a toothbrush to it. 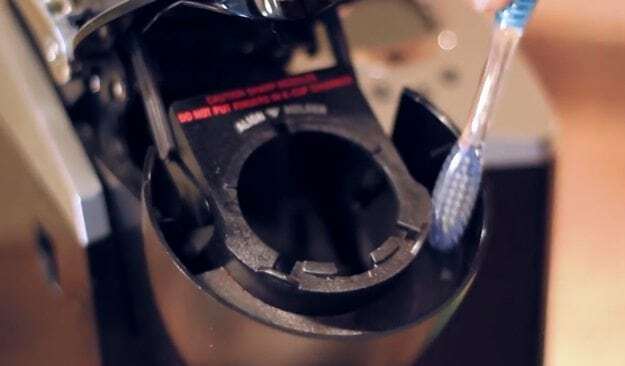 The coffee pod area of your Keurig machine is tiny and hard to get into to clean. But not with a toothbrush. You can scrub up right in there and clean it out so that it will be free of bacteria and mold and will make your coffee taste better. 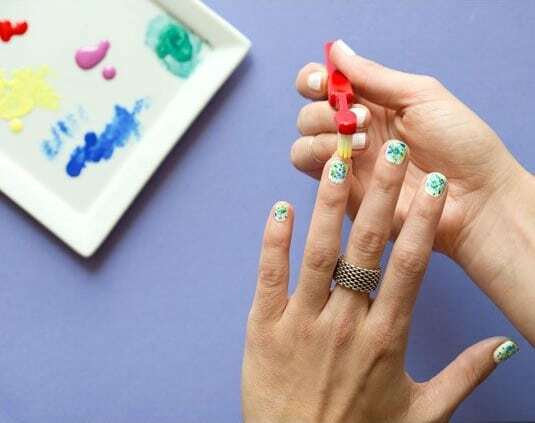 Use a toothbrush and a little artistic ability to make some fancy art on your fingernails. 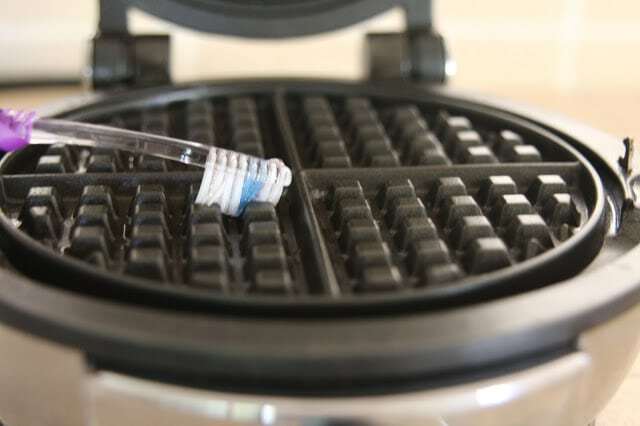 You can even use the toothbrush to spread oil evenly across the surface of your waffle iron the next time you use it. 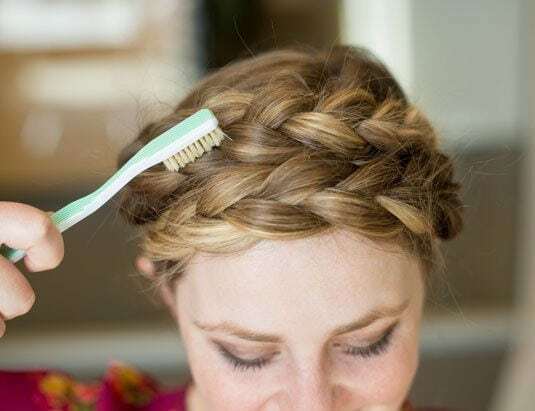 After braiding your hair, run a toothbrush in the opposite direction to give your braids a little texture. Has your handheld can opener stopped moving? 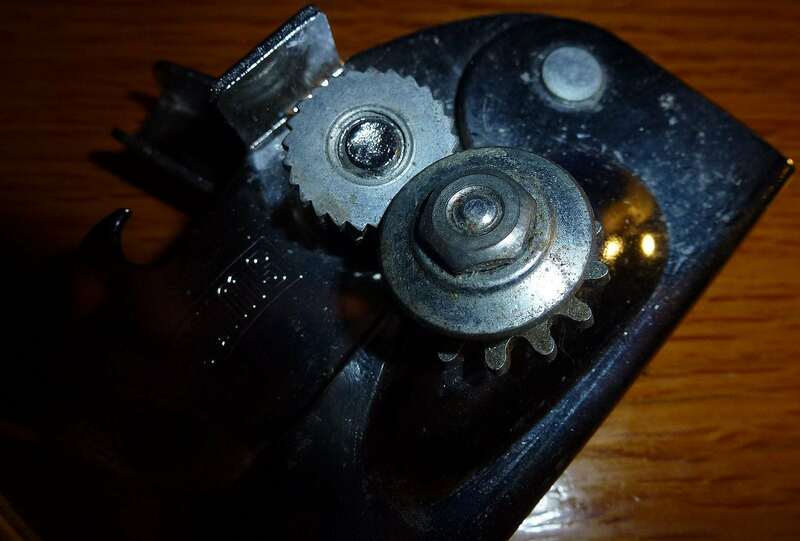 Chances are the teeth in the gears are stuck because of all the gunk that’s caught up in it. 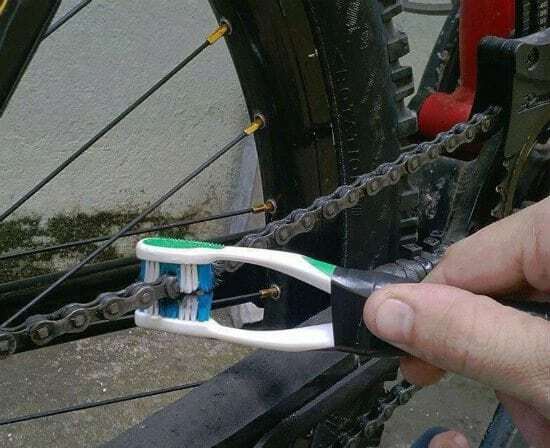 Use your toothbrush to clean out those hard-to-reach spots in between the gears. 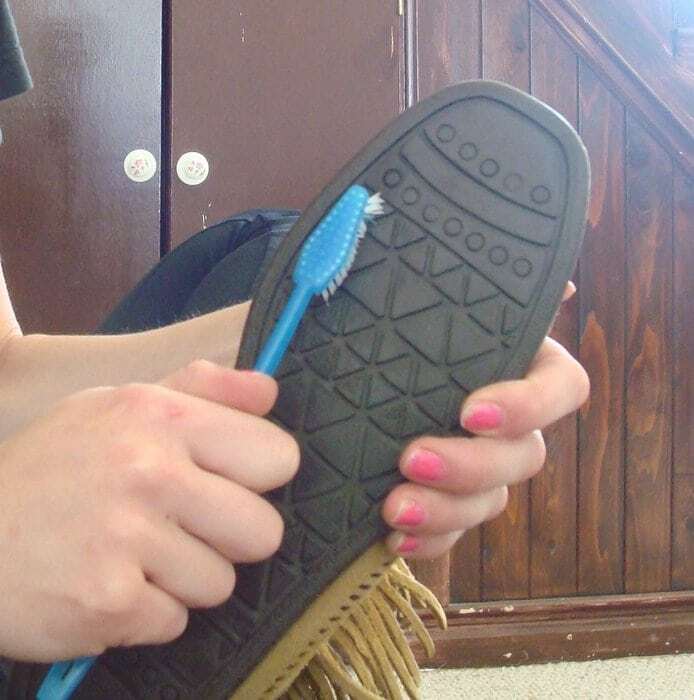 A toothbrush works great when cleaning the soles of your shoes. Rubbing a mixture of baking soda, toothpaste, and water on blackheads on your skin with a toothbrush is a great way to remove them fast. You can use a toothbrush with non-gel whitening toothpaste to remove stains from tile and linoleum. 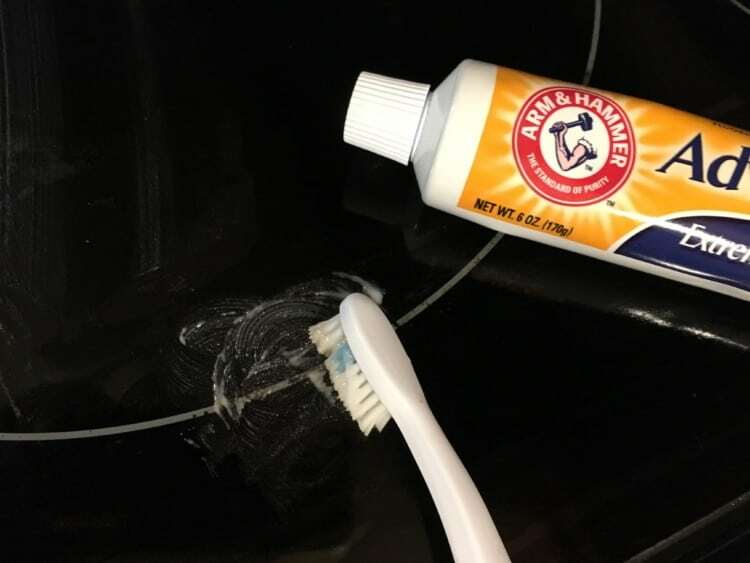 This hack also works great on countertops.